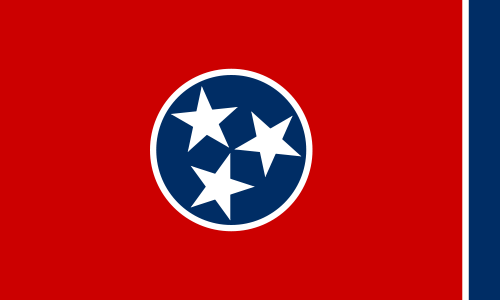 Tennessee first passed compulsory attendance legislation in 1905, though it is unique in that it originally only applied to two counties. It was expanded to the entire state in 1913. Originally, legislation covered ages 8-14 (16, if the student wasn’t employed or was illiterate) and mandated 14 consecutive weeks of attendance. Homeschooling began to gain traction across the state in the 1970s and early 1980s in keeping with national trends. Accounts indicate that families began homeschooling for a variety of reasons. Dan and Laurie Sain of Bradyville, TN decided to homeschool their children due to dissatisfaction with the public schools in the area. Mrs. Sain, who was a former public school teacher herself, held a Masters degree in Education, and Mr. Sain built a one-room schoolhouse with their sons to facilitate home-education. In contrast, Charles and Susan Moffat homeschooled their daughter through a correspondence program provided by Pensacola Christian School. While there were different factors behind families’ motivation to homeschool, one common factor for almost all families in Tennessee was near-universal legal success in court. THEA and Growing Without Schooling both document cases brought against homeschoolers as either being dismissed or decided in their favor. Charles and Susan Moffat declared their homeschool a private school when they began homeschooling in 1981. The Sains similarly argued that they were a private school in the existing legal framework (Mr. Sain actually built the schoolhouse for this reason), and were therefore in compliance. In both cases, which were decided in Coffee County and McMinn County in June 1984, judges found Tennessee’s compulsory attendance law to be unconstitutionally vague given its lack of clarity on what constituted a private school. Around this same time Steve and Debbie Cooper, who based their decision to homeschool in their religious convictions, were prosecuted and found guilty of child abuse and neglect relating to truancy charges. On appeal, however, the Coopers were told they could wait until the legislature resolved the legality of homeschooling. The legality of homeschooling was settled by legislation signed by then-Governor Lamar Alexander in 1985. The bill legalized homeschooling by allowing K-12 students to be registered with the local school district or, for K-8 students, to file as a private school. THEA sought further options for homeschoolers, such as filing under umbrella schools or with church-related schools. Having such options, in their reasoning, would help bypass government oversight of homeschoolers. Nonetheless, they accepted the legislation even without those options, and it provided legal clarity for the issue in Tennessee. The original 1985 law included several basic regulations for homeschoolers. Homeschooling parents of high-schoolers were required to register through the local school district. Additionally, parents of high-schoolers were required to have at least a bachelor’s degree. Standardized testing was also required for homeschoolers in grades 2, 5, and 7. Parents were also required to file a notice of homeschooling before August 1 of each school year. Many of these regulations have been repealed or watered down since then. With the legality of homeschooling settled, more groups began to form specifically for homeschoolers. The Middle Tennessee chapter of THEA, which was the first chapter of the organization, claims to be to be the first religiously-oriented homeschool group in the state of Tennessee, tracing its origins back to 1983. Claiborne and Lana Thornton of Brentwood have led THEA since 1984, and have strong ties to religious-oriented homeschool groups in the state. The first specifically secular homeschool group documented online originated in the Nashville area around 1990, though there are several others that have been formed, particularly in recent years. Several major legal and legislative issues have come up post-formal legalization that impacted the evolution of homeschooling in Tennessee. The first major one began in 1989, when HSLDA sued the State Department of Education for not granting homeschool teachers waivers from college degree requirements. While the challenge worked its way through the court system, the issue was settled in 1994 when legislation passed lowering the requirements for teaching grades 9-12 from a Bachelors to a high school diploma and, following post-election turnover in the department, the new secretary began granting waivers in other circumstances. During the early 1990s, the state also expanded the compulsory attendance law to apply to ages 7-17, though the law exempts children with a diploma, in a GED program, or age 17 and enrolled in a homeschool from penalty for noncompliance. When the age range was lowered to 6 in 1996, the law exempted six-year-old children whose parents intended to homeschool them. Another major legislative change took place in 1994 when Governor Ned McWherter signed legislation that allowed families to homeschool by affiliating with a church-related school. This bill, pushed by THEA for several years leading up to its implementation, expanded the options available to homeschoolers, who had previously been allowed to homeschool only through the local school district. One of the practical impacts of allowing homeschoolers to enroll in church-related schools was an exception from most standardized testing requirements that apply to other homeschoolers. This began a period where homeschooling law was ultimately expanded to include a variety of options, from registering with local school officials to affiliating with church-related umbrella schools to enrolling in accredited online programs with minimal proof of progress. This process was complete in 2011, when Senator Mike Bell, a homeschooling father himself, sponsored the HB 1631, removed the requirement that parents homeschooling in association with church schools register with the local public school district and created an additional option that allowed homeschool parents to be considered Christian school teachers. Since the inception of homeschool law in the state, standardized testing has been only mandatory for homeschoolers who take the local school option, and then only for grades 5, 7, and 9. As more options were added and Tennessee’s homeschooling law became more complex, oversight of homeschooling declined. By 2012, a legislative brief by the Office of Research and Education Accountability of the Tennessee Comptroller of the Treasury declared Tennessee’s homeschooling law “one of the most complex in the nation.” Unlike most other states with complicated homeschooling laws, the amount of oversight provided varies drastically depending on the homeschooling option parents choose. After this initial rush of homeschooling policy, there were very few changes in the status of homeschooling in Tennessee. One major issue, though, that lingered for many years was homeschool involvement in sports. Efforts began legislatively, led by Senator Randy McNally, in 1996 to allow homeschoolers to participate on public-school sports teams. The Tennessee Secondary School Athletic Association (TSSAA), which regulates high school sports in Tennessee, was opposed to this change. In 2004, TSSAA agreed to lay the groundwork for homeschoolers to participate on public-school teams, while also allowing public-school teams to compete against homeschool teams. The conditions for participating were expanded in 2011, and local schools were barred by law from prohibiting eligible homeschoolers from participating in 2013. Guidelines were expanded again in 2015 so that any homeschooler, regardless of how the homeschool is operated, is eligible to participate, provided that they are registered with the local board of education. This expanded access to include students enrolled in umbrella schools. One recent homeschooling legal case receiving national coverage intersected with Tennessee. The Romeike family, a homeschooling family in Germany, moved to East Tennessee in 2008 following the threat of legal action due to homeschooling back home. A judge in Memphis granted asylum to the family based on what he referred to as religious persecution. That decision was overturned on appeal in 2014 and the Supreme Court declined to hear the case. Very shortly afterwards, though, Michael Donnelly of HSLDA reported that the Department of Homeland Security informed him no effort would be made to deport the Romeike family, under a doctrine ICE uses known as “prosecutorial discretion” which allows for selectiveness in pursuing cases. While this case does not impact homeschooling for most individuals in Tennessee, it is almost certainly the most exposure homeschooling in Tennessee has ever received. Today, Tennessee has very few conflicts relevant to homeschooling. Most HSLDA involvement in the state has shifted from homeschool issues to common core. Legislation in recent years relevant to homeschooling has focused on addressing scholarship access for homeschoolers in programs such as the HOPE scholarship and Tennessee Promise. While sports access issues have been prominent for the homeschooling community in recent years, those have been completely addressed at this point. Voucher legislation has also been introduced in recent years, but it has shown few signs of progress in the legislative process. This state history page was composed Daniel Langley, a CRHE intern, in the summer of 2015. Daniel, a homeschool alumnus, is currently pursuing a B.S. in Political Science from Union University (May 2016). He hopes to work in the political realm both assisting campaigns and promoting policy initiatives in the future. For more on homeschooling in Tennessee, see Tennessee.